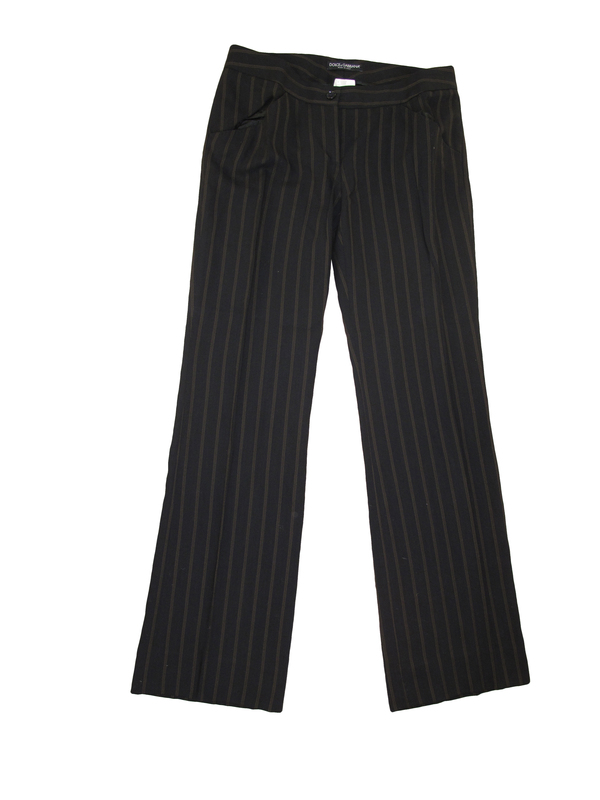 Trousers:, 1 button zippered front.2 side pockets, 2 buttoned back pockets. 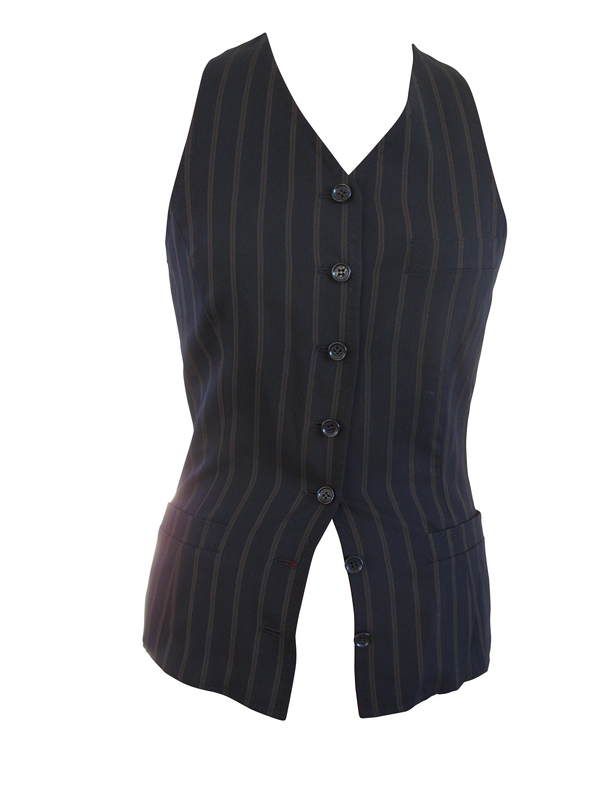 Waistcoat, with leopard print fron lining. 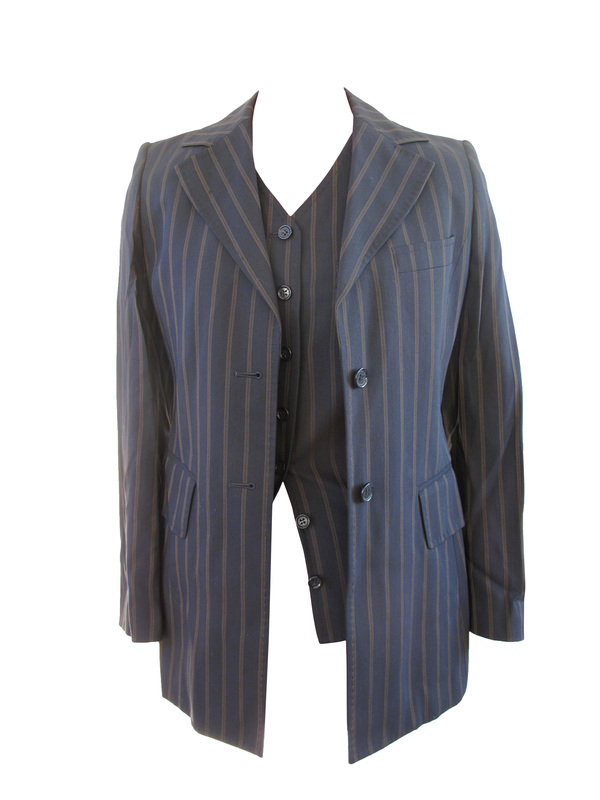 7 buttons front. 2 front pockets and 1 top side pocket. Jacket, leopard print lining. 2 front button, single breast style. 2 pockets on either side and 1 top pocket. 4 button cuffs. 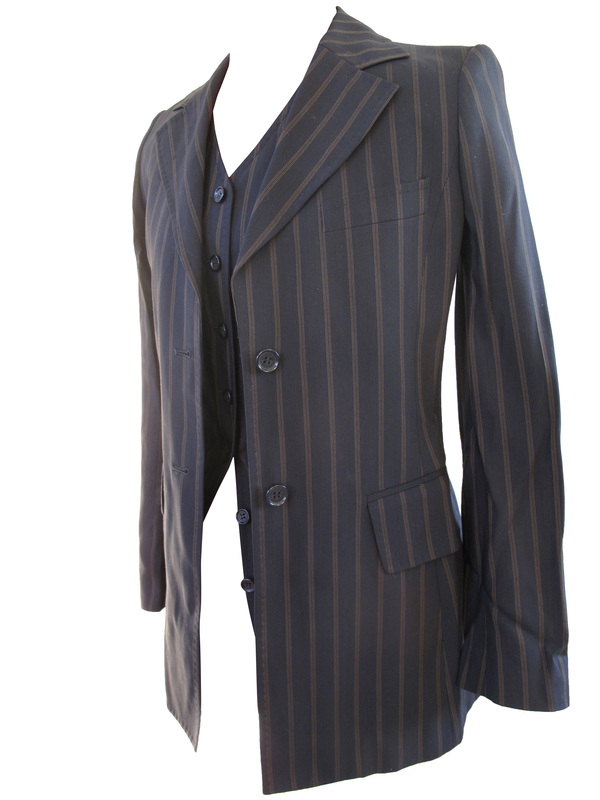 Jacket length 29 inches/74 cms. shoulder to shoulder 15 inches/38.5cms. Sleeve length 61cms/23 3/4 inches.